What the Rep Said: I honestly don't remember, my phone destroyed the notes from this review. We're relying on my memory from a year ago here. I'm guessing he said something about how much he liked the board as the demo was his personal stick. First Impressions: I wasn't sold on the Turbo Dream, but I hear this is new and improved. It is Ultra, after all. No photos survived from my phone, I stole this one from the internets. Stats/Setup: I'm 6'1" and about 162 pounds as of this demo. I rode the K2 Ultra Dream 161 with Salomon Dialogue boots (men's 9.5) and Union Force SL bindings at Mt. Bachelor. Conditions: A powder board in powder conditions!? Boot-top to knee-deep in places. The Ride: It was dumping all day and this was the last couple runs I got. They were great. This board shone in the powder as expected. The combo of short running length and tight sidecut really works for me. Tight turns and great float. Slashes got slashed. Pow butters for sure. The long, rockered tail might not be ideal for really big landings, but I was at a resort with a bunch of three-to-five-foot natural poppers, so it was super fun. Oh yeah, the glades got runnered, too. Glade Runner? Blade Runner?? Anyone? Whatever. 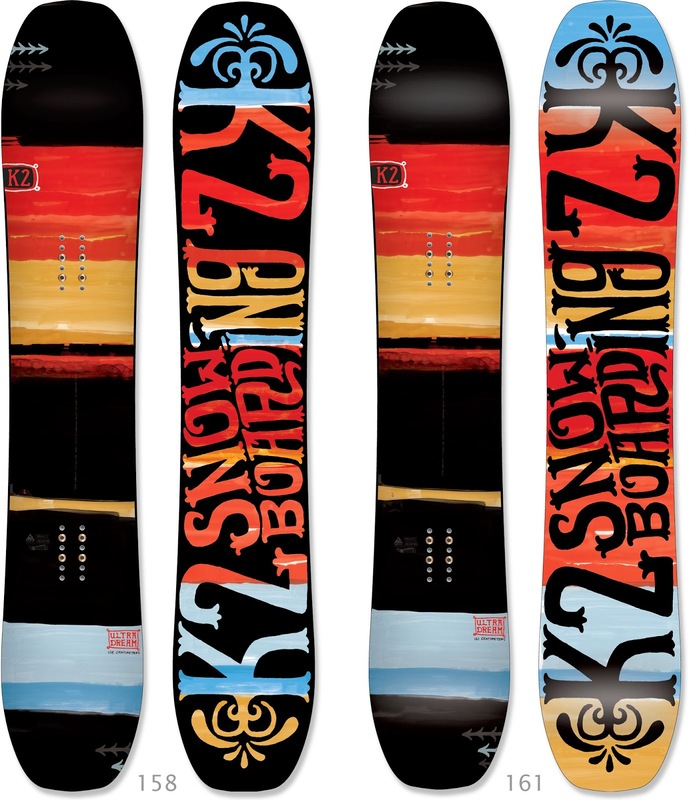 Powder + Trees + This Board = Good Times. Bottom Line: Resort pow bows down before this board. If you want a longer running length, buy a bigger board! Check K2's site for the whole deal.